i was working on this account and this campaign last year before i left. great to see this ad finally in the papers! 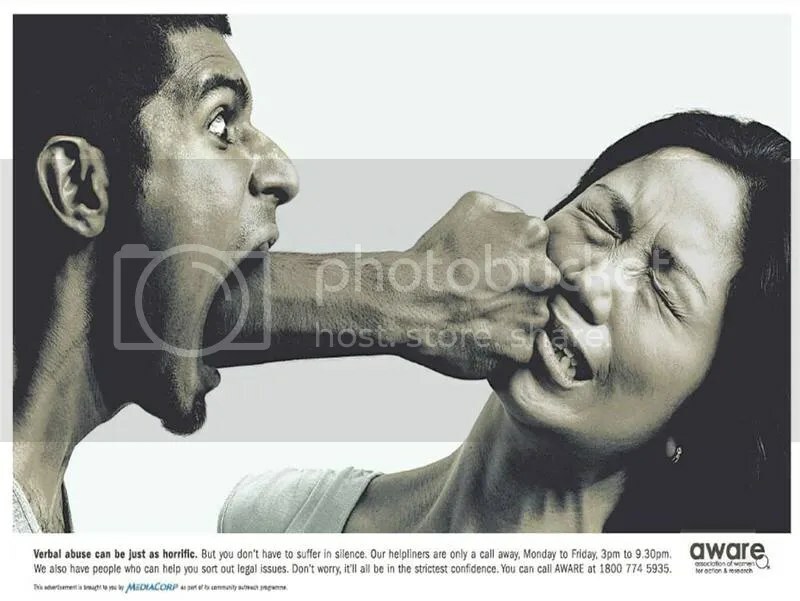 copy reads: Verbal abuse can be just as horrific. But you don’t have to suffer in silence. Our helpliners are only a call away, Monday to Friday, 3pm to 9.30pm. We also have people who can help you sort out legal issues. Don’t worry, it’ll be all in the strictest confidence. You can call AWARE at 1800 774 5935.
what newspaper may I ask did you see this in?